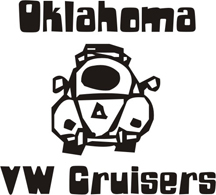 Oklahoma Vw Cruisers • ???????????????????????? I do see quite a bit of enthusiasium being exaualtied on this board in the recent days. It does my heart good to know so many people in this area love this little car. Remember, Volkswagen is the word that strikes fear in the best mechanics that ever turned a wrench. You clowns that work on these cars are probably the most intelligent folks on the planet. So, let's get our arses in gear, be it first or third, cause the 2 & 4 don't work, get together, work together, & have a good time with our little krautwagens. So, what ya say? We don't need a monthly dinner at wherever. We can meet at somebodys place, cook burgers, drink a beer or work on their car or whatever. I'm up for it , come on folks, don't be a prude. We all have something in common, let's use it. I'm down. Burgers and beer set Gimpy's. We can ask help lift that blue square off the ground so he can get some tires under it. How bout in couple weeks, say on the 21th. First day of autumn (that would be fall for the less political correct). I will host at the ranch, buy the ribs, chicken, burgers, whatever your little fat belly wants. Everybody brings their own drinks. I just need a sort of head count to fix the stuff to stuff your face. Hell, hit the wrong button. Ya'll let me know iffin we can get together. Or let me know iffen it would be better on a different date. Hoose up for it, we need to socialize somewhat to get to know each other. And JP lets be reasonable, you think townie okie people will drive to egypt? Will we see you at oktoberfest? Where are you located, Gimpy? Here's the hard part, getting schedules to work. The 21st is Tulsa VW show. I have to work every weekend the rest of the month. So pick a day with out associated conflicts (vw show) and take what you can get. The important thing is that we are actively having a get together. Some will be more attended than others but that's life. Just got back from Calif. taking my boys truck to him. Any day but the 21th, I'm planning on going to the show. Oh they read it Robert, look at the view count.